Can too much TV lead to depression? Over Thanksgiving break I spent the majority of my time just relaxing and watching TV. I am addicted to Netflix and watched multiple episodes of Grey’s Anatomy each day. While watching my Netflix, my mom kept yelling at me saying to stop watching because it causes depression and makes me loose brain cells. I thought she was absolutely crazy when she was saying that so I decided to look it up. That is why I am researching if this is really true. Will watching too much TV really make me have depression? There’s a direct cause and effect relationship between how much time you spend watching TV and the likelihood of getting depression in the future. This means that if you watch a ton of TV over time, you have a greater chance of being diagnosed with depression. Sociologists at the University of Maryland analyzed data from over 30 years that showed the relation between happiness and media use. They found that “happy” people watch about an hour less of TV everyday than the people with depression do. The people who were most happy watched television for about two hours a day or less. They spend their time with other people such as friends and family. In Scotland a study using 4,000 people was conducted. This study found that 66% of these adults who watched over two hours of TV everyday were obese and had a higher rate of anxiety and depression. “The correlation between depression and television viewing habits was strong enough that good exercise habits had no ameliorating effect, even though exercise is usually prescribed as a panacea for depression and other types of mood disorders,” (American Journal of Preventive Medicine, 2010). In the US Nurses’ Health Survey, there was data collected for over 50,000 women for 14 years. This data included the womens television watching habits and their health disorders. This data showed that the women who watched over three hours of television each day are 13% more likely to get depression in the future than those who worked out more and didn’t watch TV as much. These people who did not watch TV as much lowered their risk of getting depression by 20% (study published in American Journal of Epidemiology, 2011). These results do not directly prove that watching a lot of TV can cause depression, there could be confounding variables involved in all of these cases. Examples of some confounding variables are previously diagnosed disorders, obesity, alcohol habits, smoking habits, etc. Additionally, depression has also been linked to other binge behaviors besides watching TV, like heavy drinking. “Even though some people argue that binge-watching is a harmless addiction, findings from our study suggest that binge-watching should no longer be viewed this way,” Yoon Hi Sung said. Fatigue, obesity, and additional health problems are directly related to binge-watching. When people binge-watch they become distant from the real world, such as work and their family and friends. How to Avoid This From Happening: Try to reduce the amount of time you watch TV to two hours a day or less. Some studies showed that people who watched over three hours were almost two times as likely to have obesity. 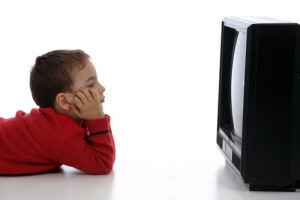 The American Academy of Pediatrics suggest that parents limit their kids to only watching TV for about an hour a day. This entry was posted in Uncategorized on November 29, 2015 by Courtney Michelle Walker. This was an awesome topic for a post, I’m sure you drew many people in with your title since so many of us are avid Netflix watchers. I had no idea that there was actually a direct cause and effect relationship between watching TV and the likelihood of depression. I definitely do see the relationship, maybe people get so engulfed in the alternate reality of a great movie or long and captivating series that they temporarily escape their own life, and upon returning realize it is not that great. What I am wondering, however, could this be a result of reverse causation? It seems possible that individuals who are in an early stage of depression choose to spend a larger portion of their time watching television. And, like you mentioned in your post, there is the possibility of a confounding variable. Maybe some of the readers of your blog will think twice before they start their next Netflix series! I found this post very interesting because I am someone who loves to binge watch shows on Netflix. However, I never gave much thought into it causing depression. This blog provides a lot of supporting evidence and includes experiments and studies that were done that proved the correlation between how much TV you watch and depression, but I am still uncertain if I believe it. I can watch 3 hours of Netflix in a row and then go hangout with my friends and be as happy as I would be if I hung out with them earlier instead of watching Netflix. In the end, I think it comes down to who the person is and how they get “happy”. I really enjoyed this post! It is interesting to see that this really could change your whole mood, the amount of TV you watched. You stated “In Scotland a study using 4,000 people was conducted. This study found that 66% of these adults who watched over two hours of TV everyday were obese and had a higher rate of anxiety and depression.” This is interesting to me because I have always thought that getting outside during the day, and allowing your body to intake fresh air is a good thing. I also think watching TV increases weight gain because your are constantly sitting, and not being productive. This was a good blog post, and if more studies were done, it would definitely prove that watching a lot of TV has a negative effect on one’s overall health, leading to this depression. This is an interesting post and is something I never gave much thought to. I think it’s pretty interesting that watching too much TV can cause depression but personally I don’t know if I believe it. Yes, there are studies that show correlations and do provide legitimate evidence, but to me personally I don’t know if that stuff is convincing enough to change my perspective or behaviors. I think the evidence is definitely compelling enough to prompt further research and ask more questions, but in terms of me changing my behavior I definitely would need more research regarding the topic to be done by more scientists. Otherwise, this is a very interesting post and I really liked your choice of topic. I really liked this post! I liked how you incorporated multiple studies showing that the findings were all similar. I can see how TV leads to depression. After sitting and watching TV for hours on end, day after day, you become less and less motivated making it likely for one to become depressed. I personally need to cut back on how long I watch Netflix so this a helpful article!